Querying my first novel was such an eye-opening experience. The one thing I learned is that you shouldn’t query every single agent you can find contact information on. If you want to sell your book, find the agents that are looking for manuscripts within your genre. AgentQuery is a fabulous resource to find information on agents that are accepting submissions. Read guidelines closely to avoid ending up in the slush pile. Selling your first novel may also be the first time you experience the worst type of ego bruising. Expect to hear back from agents and publishers with phrases such as “not for me,” “didn’t connect with me,” and “nope.” Do not let them break you! Be strong, author, and keep writing. Agents and publishers may ask you to revise and resubmit. This can help get you closer to an offer as well as improve the quality of your manuscript. 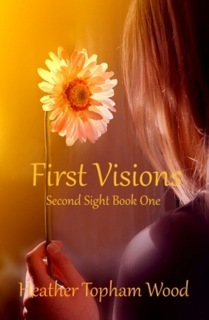 With First Visions, I did receive several offers through small publishing houses. Ultimately though, I decided to self-publish the novel. This is not an easy or inexpensive route and although I’ve been successful, I’ve put a lot of work into marketing my books. I’m working with Crescent Moon Press for an upcoming series and it has been less stressful to hand over cover and editing duties to them. Once my book was released, successful marketing was a trial and error process. 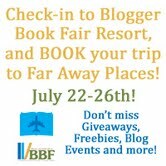 Book tours are a great way to get the word out about your novel. It can also help your book get reviews on Goodreads and book retailer sites. Other successful promotions I’ve done are sponsorships through Kindle Nation Daily and Book Bub. Offering your book for free as part of the KDP Select program on Amazon can also help boost sales. I hope this helps new and aspiring authors avoid some of the mistakes I made. But above all else, writing should be fun! Even if the sales don’t happen, you should be proud that you accomplished something that many other people were unable to do. Heather graduated from the College of New Jersey in 2005 and holds a bachelor's degree in English. Her freelance work has appeared in publications such as USA Today, Livestrong.com, Outlook by the Bay and Step in Style magazine. She resides in Trenton, New Jerseywith her husband and two sons. Besides writing, Heather is a pop culture fanatic and has an obsession with supernatural novels and TV shows. 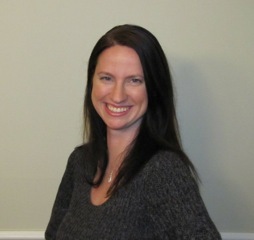 You can learn more about Heather and her books at: http://www.authorheather.com, or by following her on Twitter or Facebook. 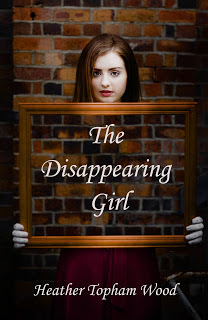 The Disappearing Girl (for ages 17+) is available at Amazon and BN.com. Be sure to check out the rest of the Second Sight series here. Thanks so much for such an informative guest post, Heather!